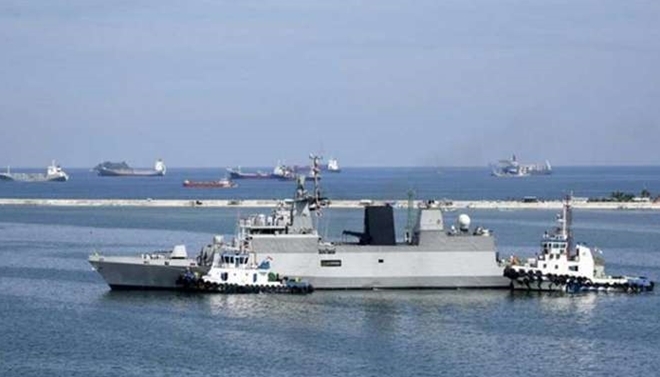 Two Indian Naval Ships, INS KOLKATA and INS SHAKTI under the command of Capt Aditya Hara, Commanding Officer INS Kolkata, will be making a port call at Cam Ranh International Port from 13-16 Apr 2019. The ship visits are part of ongoing operational deployment of the Indian Navy to South East Asia region. During the visit, there will be professional interaction between personnel of both the navies, official calls and interaction with dignitaries of the Vietnamese Government, guided tours for Indian Naval personnel and sports events. On completion of the harbour phase, both Indian Navy and Vietnam Peoples’ Navy would be undertaking Exercises. Visits to ship will be organised for friends of India in Khanh Hoa Province. Defence cooperation is a vital component of the Comprehensive Strategic Partnership between the two countries. The Indian Navy has extensive interactions with Vietnam People’s Navy, particularly in the field of training, repairs, maintenance and logistics support aimed at capacity building. It is also pertinent to mention that Indian Coast Guard ship ICGS VIJIT had paid a port call to Danang from 01-04 Apr 2019. There is growing convergence between India and Vietnam on various regional and international issues. Both nations are committed to building of a peaceful and prosperous Asia and the Indo-Pacific region on the basis of respect for national sovereignty and international law as well as freedom of navigation, overflight and unimpeded economic activities. The current visit seeks to enhance maritime cooperation between the two Navies and will further bolster the strong bonds of friendship between the two countries and contribute to security and stability in the region and the world at large.